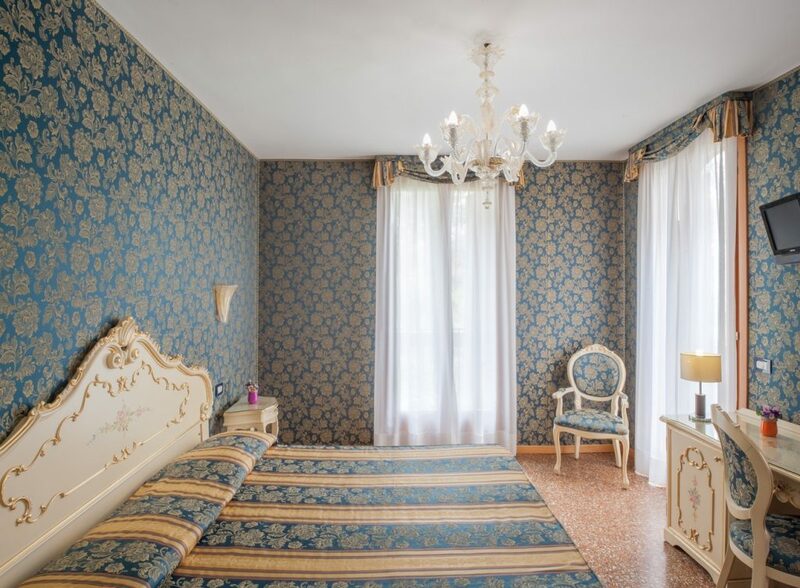 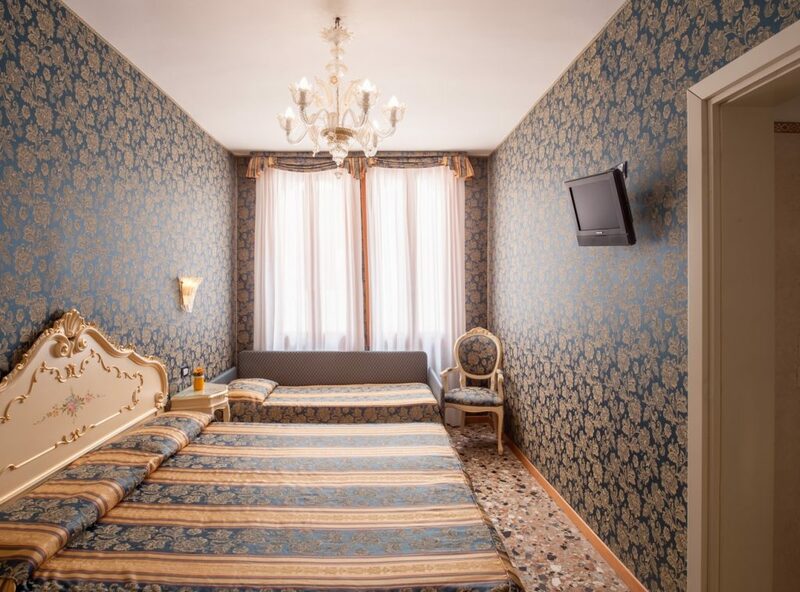 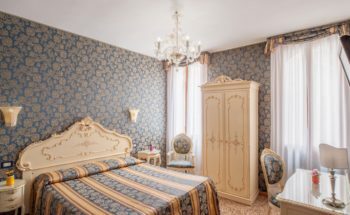 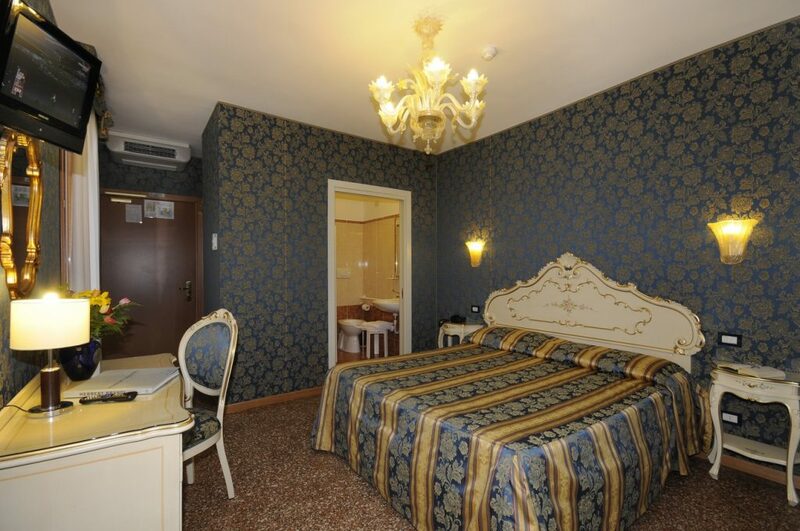 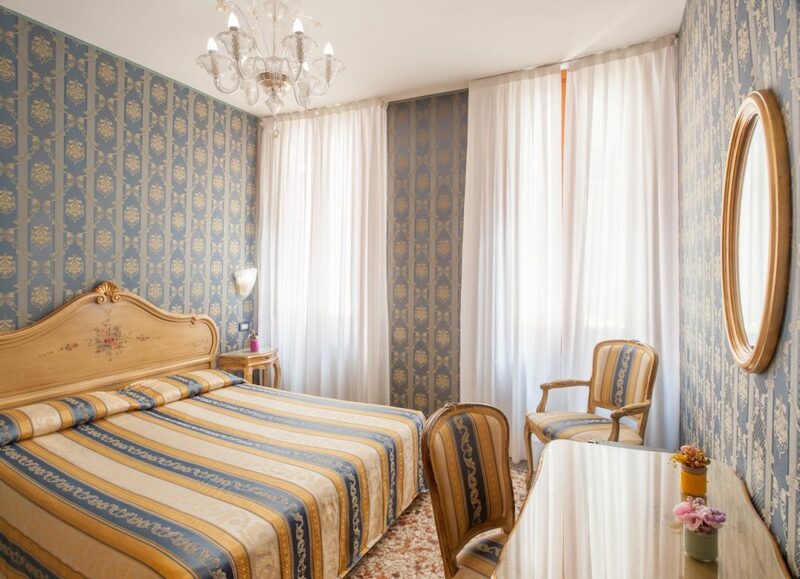 The rooms of the Hotel Il Mercante di Venezia are pleasantly furnished in the typical Venetian style and decorated with Murano glass chandeliers, damask-covered walls and precious lacquered furniture of 18th century design. 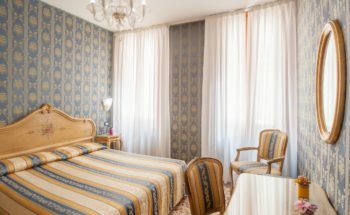 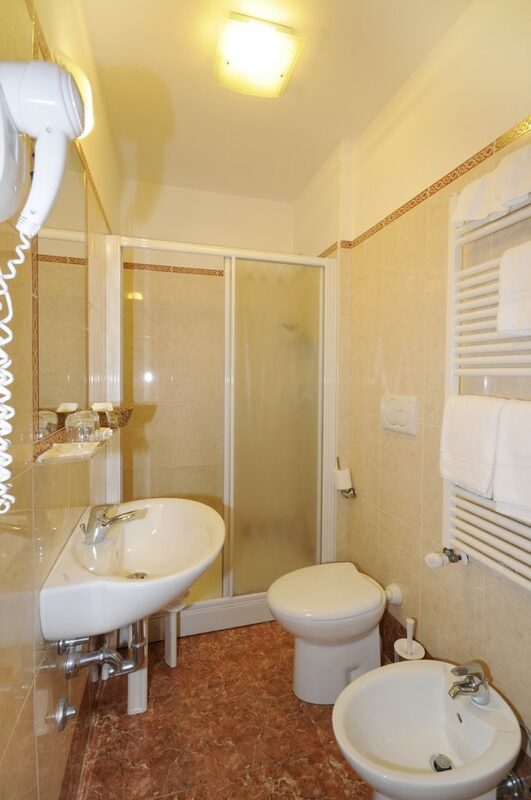 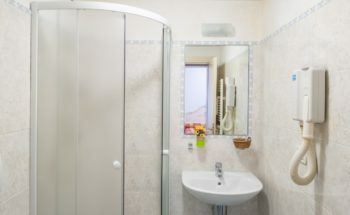 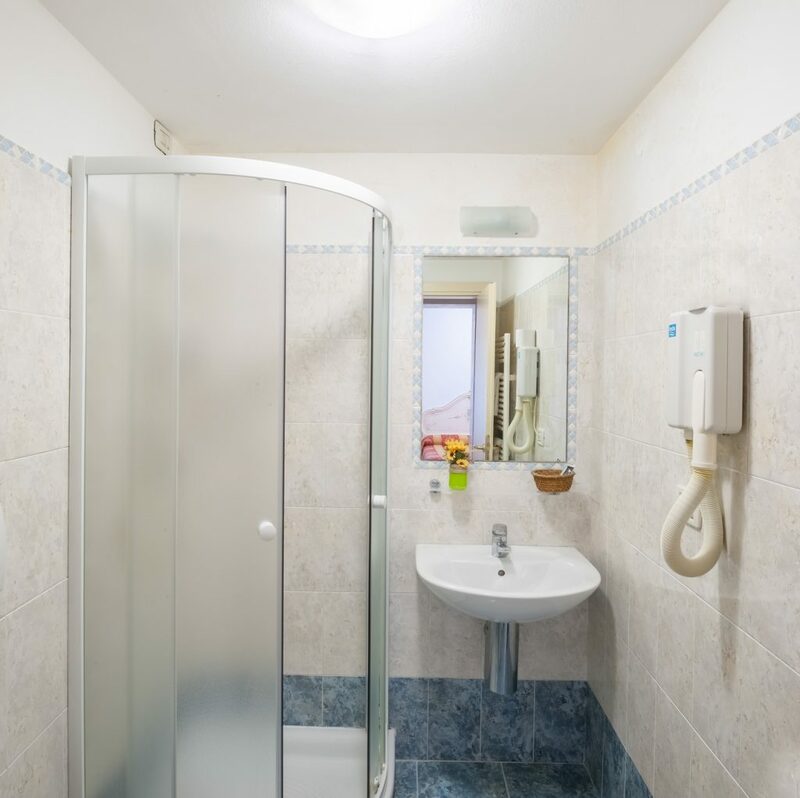 The atmosphere that you will find in our Hotel perfectly matches the most modern comforts with which each room is provided: private bathroom, air-conditioning/heating, hairdryer, Internet Wi-Fi connection, LCD flat-screen TV, telephone and minibar. 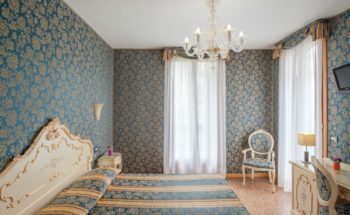 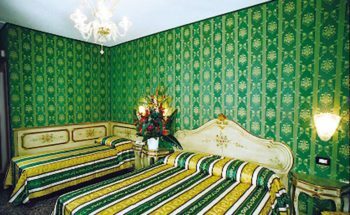 The rooms are various different types, to satisfy every kind of need: doubles for single use, double or twin bedded rooms, triples and family rooms. 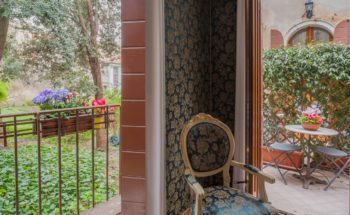 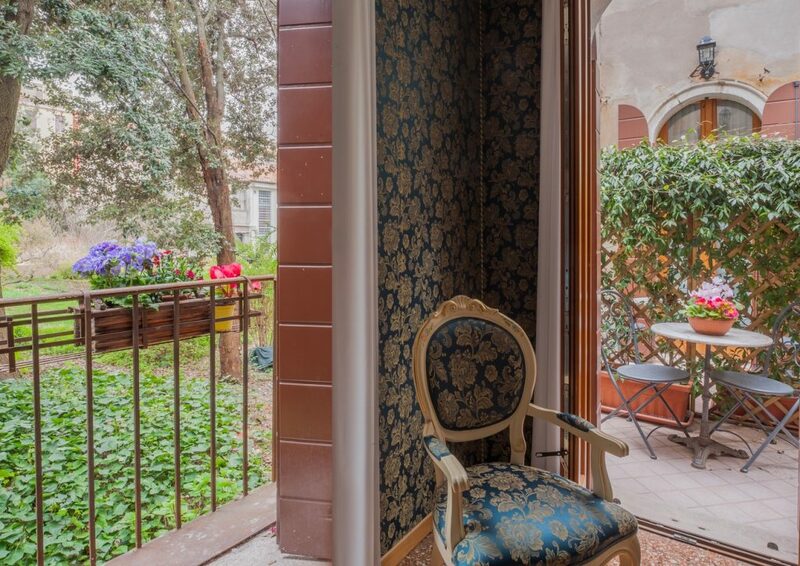 To make the stay even more comfortable and relaxing, guests can have breakfast or sip a glass of wine in our nice and exclusive backyard: Otello’s Garden. 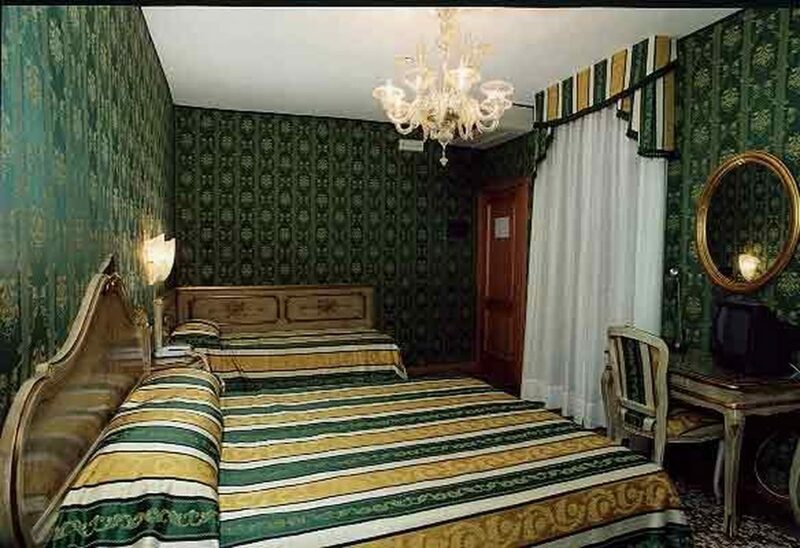 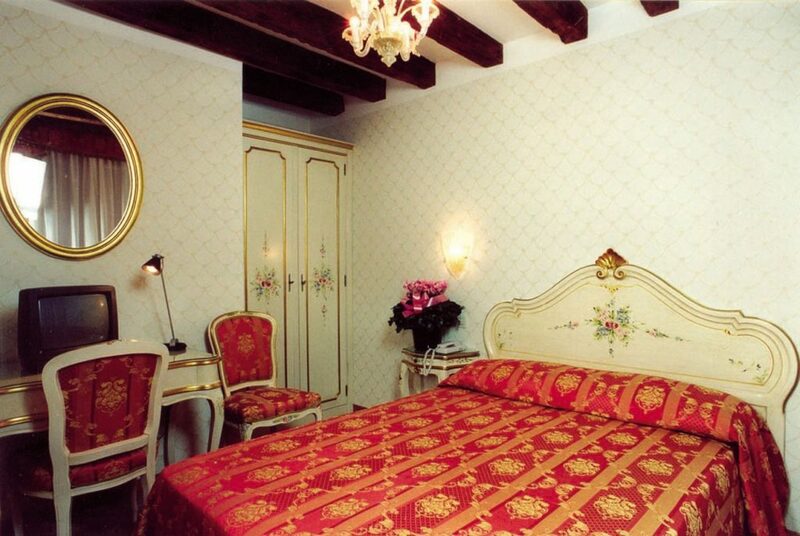 The Single room is provided with a french bed. 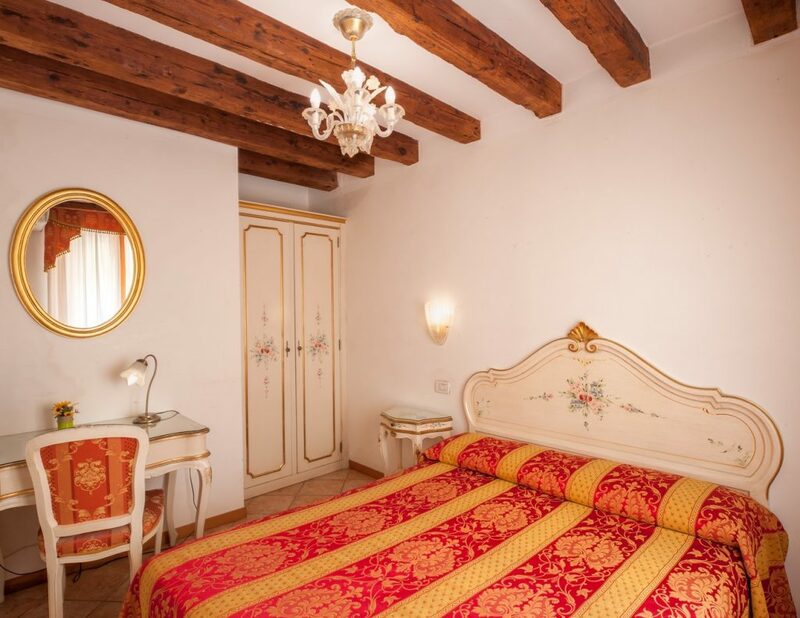 Pleasantly furnished in 18th century Venetian style, it is decorated with Murano glass chandeliers and precious tiled floors. 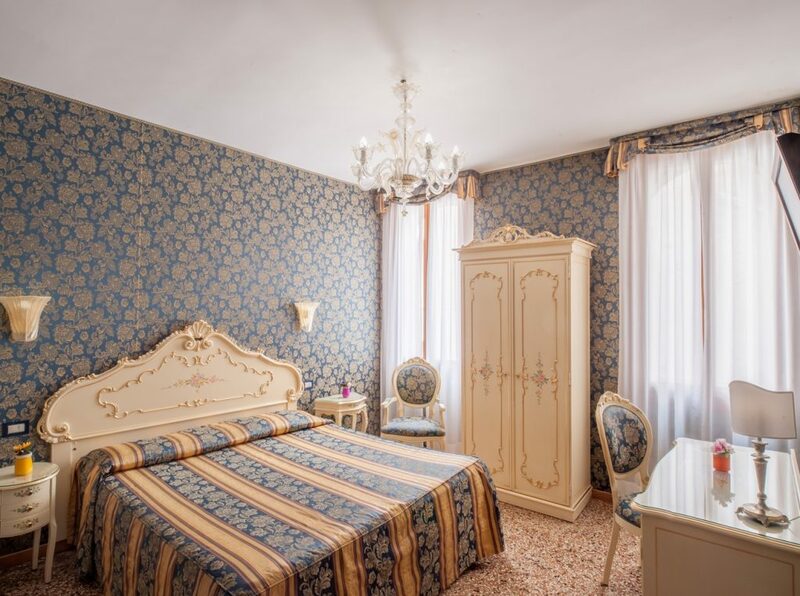 The elegant décor, in vogue during the Serenissima Republic, is perfectly combined with the most modern comforts provided in the room: minibar, Hairdryer, telephone, flat-screen TV, air-conditioning/heating. 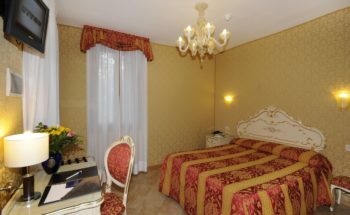 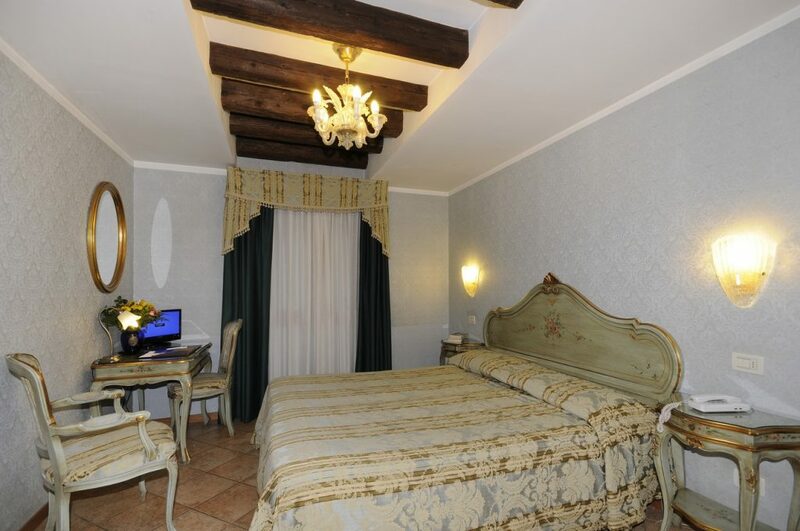 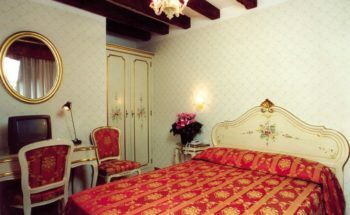 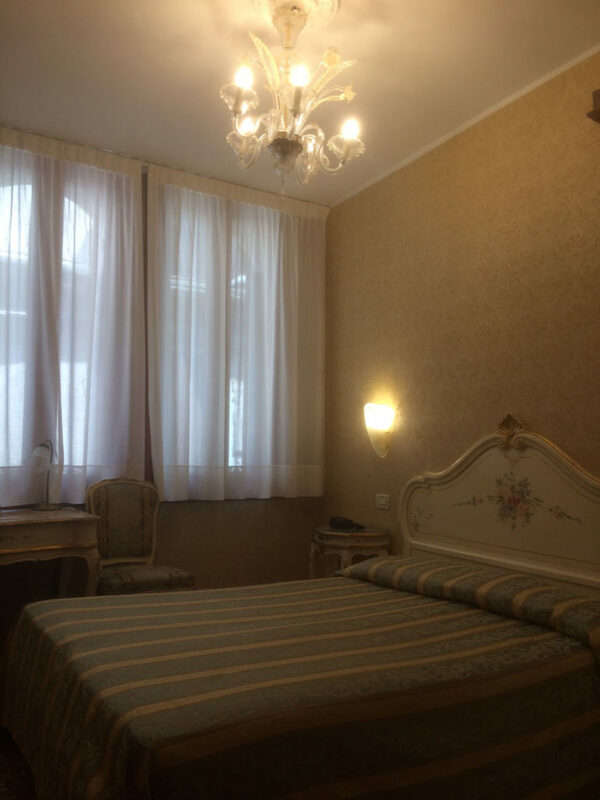 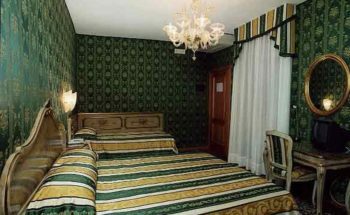 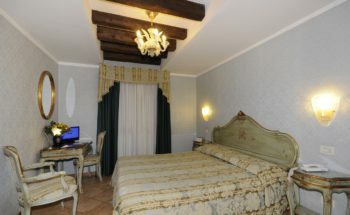 Pleasantly furnished in 18th century Venetian style, the Double room can be equipped with one double bed or twin beds. 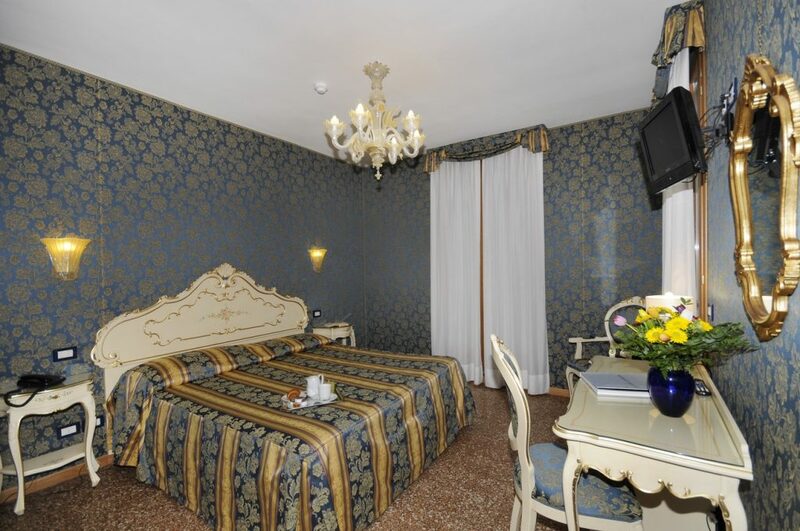 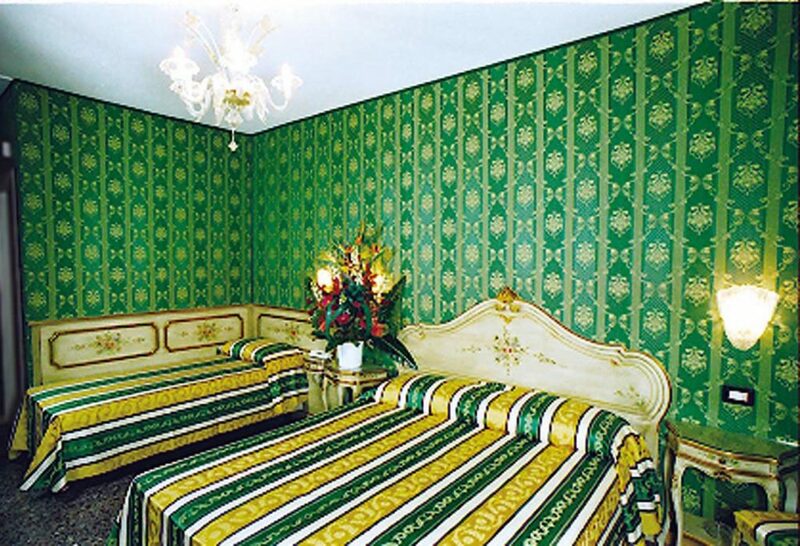 It is decorated with Murano glass chandeliers, brocade upholstery and precious tiled floors. 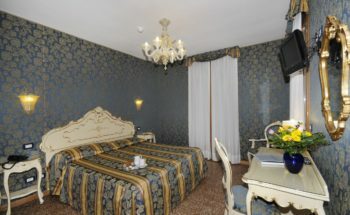 The Superior room is located in the most quiet and most beautiful side of the hotel. 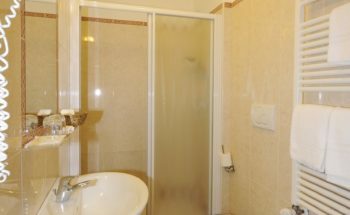 Triple room with one double bed + third bed or 3 single beds. 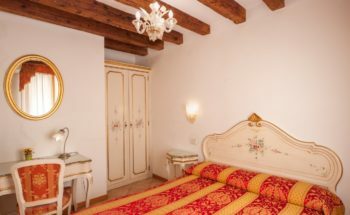 Pleasantly furnished in 18th century Venetian style, it is decorated with Murano glass chandeliers and precious tiled floors. 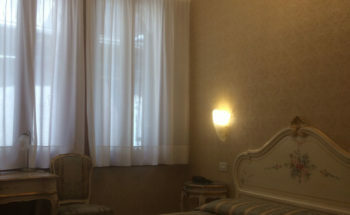 Room with one double bed + two single beds or four single beds.